Submitter: Unmasking the Face’s cover is very Scaramouche, Scaramouche, can you do the fandango? Holly: Second row from the top, right-hand side just stepped in somethin’ stinky. Top row is the one that put it there. Next Post:My Brain! My Brain! Somewhere in that book there has to be the “Give me a second, I just took a big ol’ hit” look. WTF? People in 1975 couldn’t tell when a scowling face meant someone was mad at you? Wait, why is this awful? 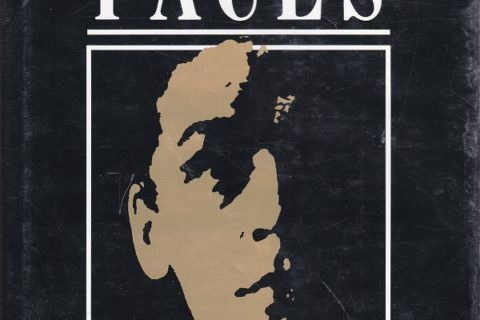 Lots of people (notably those with Asperger’s and autism) have a lot of difficulty reading faces, and programs to explicitly teach that are still an important treatment option. And Ekman is one of the top names in the field. Botox can take care of all that. Sounds like the content might be okay, but the cover image is pretty freaky! I agree with Andromeda, I don’t see anything really awful or a reason to weed it unless it was in terrible shape or a newer version was available. It is a very helpful guide for those who cannot, for various reasons including Asperger’s, read facial expressions. It is not like after 1975, everyone decided to frown when happy. I know there’s better out there. 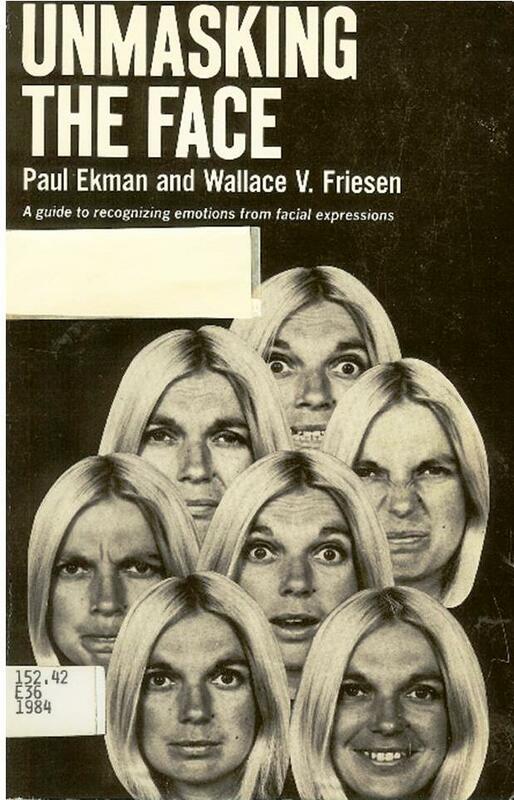 My library recently added several books on not just how to read faces, but entire body language. Also, why did they arrange six faces in something OTHER than a hexagon? Finally, scaramouche? As in scarmouche Jack Hall the chimney sweeper’s ‘prentice’s escape from Newgate? Many people who read Malcolm Gladwell’s “Blink” may be interested in this book, as an entire section talks about Ekman’s work. It’s pretty amazing. I suppose I will date myself when I say that I thought the guy (?) on the cover bore a resemblance to Grand Funk Railroad’s Mark Farner back in the day. IDK how the one commenter thought it was a guy…it’s definately a girl. Face-making Rhapsody! Still, it is a pretty creepy cover. I’m willing to bet, cover aside, the information inside is still very interesting and relevant, though I would imagine there’s an updated version somewhere. The Fox show ‘Lie to Me’ is based on Paul Ekman and his work, BTW. Left to right, front to back: David Byrne, Paul McCartney, Jeff Goldblum, Alex Lifeson, Brendan Fraser, Ozzy Osborne, Iggy Pop – unquestionably the finest line-up The Police ever had! Jami–that doesn’t necessarily mean they’re better. While I know that there is a newer version, and that Ekman has other books, that’s the only reason I can see for getting rid of this. Have you ever seen the show Lie To Me? All of the science in that (and a surprising amount of it is actually true) is based on Ekman’s work. Not only that, but they consult with him about it (to an extent). He’s the premiere guy in the field, and works with people with Asperger’s Syndrome and other similar disorders to help them learn to read people, as well as working with the government. Put the mask back on! Leigha – Considering that the ones I saw at work are written by someone whom worked for the FBI, I think they have an edge over this out dated book. I know of an actor who used this book in this past year. Not sure it’s really a weeder. This cover is amazing. It’s a relic from ancient times. We’ve dug it up in our archaeological dig, along with pterodactyls. It is ——– THE WORLD’S FIRST BADLY PHOTOSHOPPED IMAGE!!!!!!! Using an archaic imaging program that ran on a punch-card, they used a wall-sized computer to insert this guy’s face into an identical bad haircut seven different times, and then printed it out on a dot-matrix printer. Later they put on a Zeppelin album and asked each other, “What should we call this image-making method?” They decided “to shop” was the right phrase. I’m not sure why this title was weeded either. This is considered a basic “must know” text for individuals working in criminology. Yes there are other, more recent texts but most of them refer back to Ekman (as do many of his own additional works). I would consider it particularly topical given the success of Lie to Me which, as others have mentioned, is based upon Ekman’s work (and which Ekman now produces, along with others). Just because the cover is somewhat ridiculous it doesn’t mean the text doesn’t have value. Shouldn’t librarians of all people know better than to judge a book by its cover? Jami–It may give them an edge, but probably only on the basis that it’s outdated. Even a book by someone who worked for the FBI will probably utilize a lot of Ekman’s research, since he’s essentially the guy who pioneered the field. This is only his second book, though. He has somewhere around 10-15. Actually, he was named one of the most influential psychologists of the 20th century by the American Psychological Association in 2001. He’s been doing this since 1954…I think he knows what he’s doing. This was one of the text books in a college psychology class I took back in the early 80’s. As I remember, it was very interesting. I seem to remember some flash cards as part of the book it had the many facial expressions of the lady on the books cover as well as facial expressions of a man as well. Just a quick reminder. This is a semi-serious site that librarians visit to share some inside snark and laugh. It’s not meant to be used to evaluate the professionalism of the posters or the comments. We’re trying to have a little fun here, while we blow off a little steam. I have Asperger’s, so I sometimes have a hard time reading people. It’s a bit of a struggle, but I think I manage okay. It looks to me like the emotions on the cover are fear, sadness, disgust, anger, surprise, blank, and happiness. Although I am pretty good at picking up the subtle signs that someone else has Asperger’s like me. Not naming names, but I’ve connected the dots and figured out someone who posts here also has it (and is quite possibly unaware of it themself).